SAN FRANCISCO (KGO) -- Heads up for San Francisco drivers, you may see many more pedestrians on your commute than normal. That's because thousands of people are expected to walk to work today. 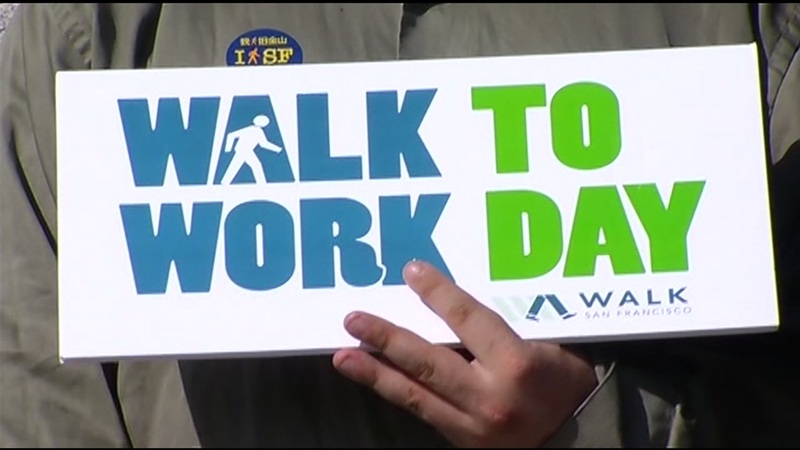 San Francisco's yearly initiative is supposed to highlight walking as the healthiest and most sustainable way to get around. Click here for a map of Walk to Work hubs where you can stop and get free coffee and breakfast snacks.